This is a scene of people coexisting in true urban form. Coffee, cuisine and culture collide at this crossroad. Go places near and far with ease. Take BART, take Uber, walk, bicycle or drive. The choice is yours. Neighborhood amenities include Blue Bottle Coffee, Waystone, Dottie's True Blue Cafe, Saint Frank, Frena and Montesacro, to name a few. Best of all, gorgeous architecture can be found around every corner. Bobby Valentino Sanchez, a familiar face in San Francisco coffee as a longtime employee at established local roaster Four Barrel, has spun off on his own with Pentacle Coffee. Developers of a Mid-Market mixed-use building are hoping companies, families, and other groups will be interested in paying to tag the interior of the site’s with graffiti before it is demolished early next year. As one of SF’s precious rooftop vantage points at 120 feet above Market Street, accentuating the view was of high priority. 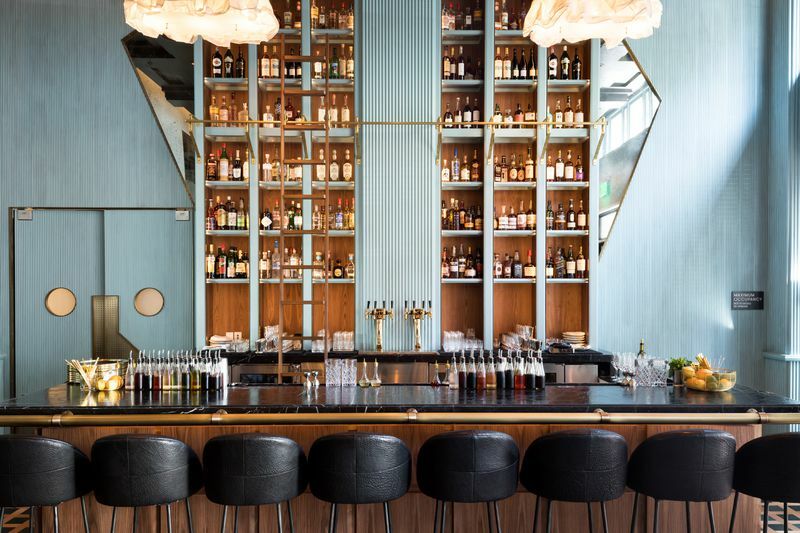 As the creative force behind the Proper Hotel, the Mid-Market neighborhood’s most eagerly awaited new property, Wearstler looked to the building’s early 1900s genesis for inspiration. This Roman "pinseria," which holds a 4.5-star rating with 360 reviews on Yelp, specializes in pizza-like flatbreads with seasonal toppings, served in a warm and homey atmosphere.